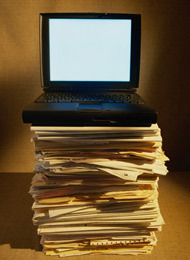 Our innovative Document Library system provides an organized listing of a company's frequently ordered products. This system was designed to simplify the process of reorders. You can easily view past projects, select new quantities and place orders online any time of day or night. There simply isn't an easier way to reorder a job. Just click on the photo on the right and complete the form and one of our sales representatives will contact you to explain how you can participate in our Document Library program.